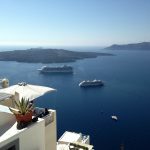 This is a three days-2-nights guide to Santorini, with a perfect 72 hours plan that will guide you on the best way to enjoy this amazing Greek island. All tips, maps, costs, information, are included so that you feel like you have your best friend with you showing you around this marvelous place. 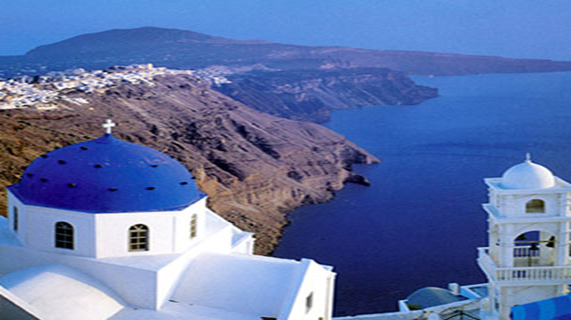 This is part of our Kindle Guide, “Santorini in 3 Days, Travel Guide“, which you can get here. 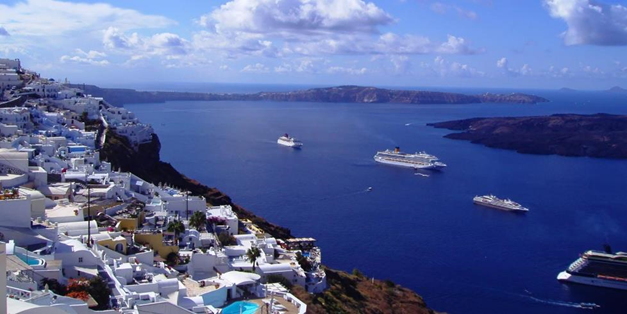 Here is the information on the best tours to book while you are in Santorini. The best site to book your tours and get some decent discounts is GetyourGuide. A four-hour tour that gets you to 3 wineries, in the countryside of Santorini. Wine tasting tips from experts. The Catamaran will get you to the Red Beach and the White Beach to swim and snorkel. You see the sunset from the catamaran and enjoy a bbq dinner of grilled pork and Greek salad. Finally, it gets you through the Caldera and lets you swim in the hot spring waters. 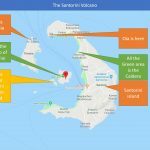 This is an 8-hour tour which gets you to the volcano, to the small island called “Thirassia” and then to Oia village to see the sunset. 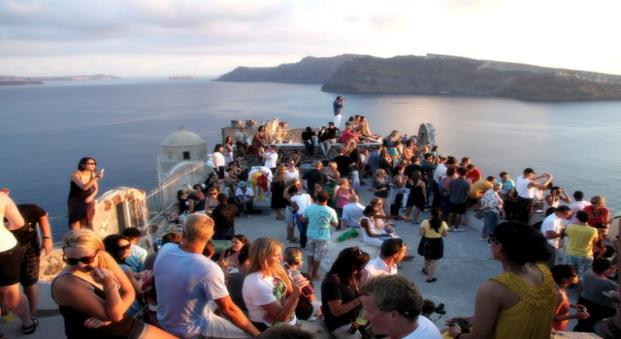 You get to visit some wineries in Santorini and learn how to cook Greek food from a Greek Chef. You get to try nine different Greek wines and you will a full dinner is also included. You fly with a helicopter over Santorini, for 20, 40 or 60 minutes. 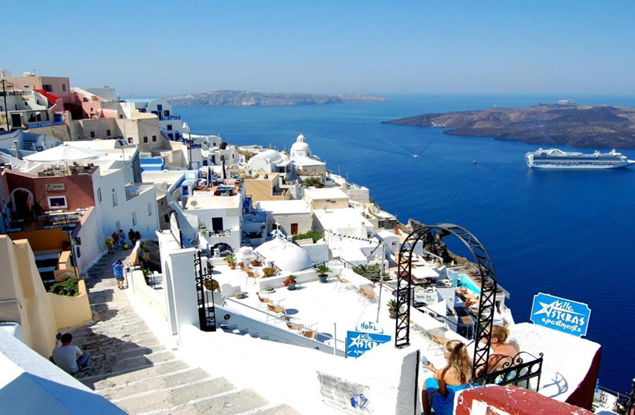 Santorini is an island in the southern Aegean Sea, about 200 km (120 mi) southeast of Greece’s mainland. 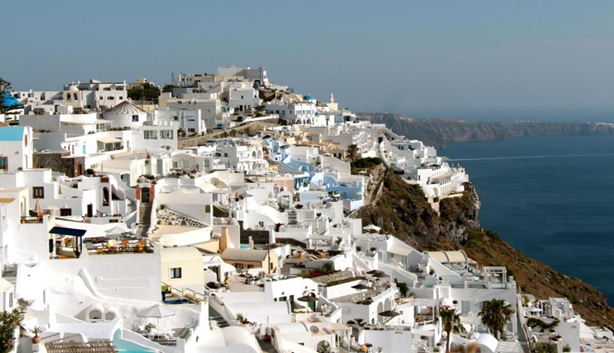 The total Santorini’s land area is 90.623 km2 (34.990 sq mi). 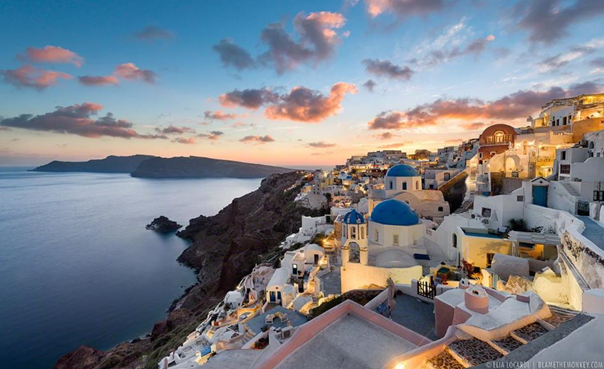 Santorini is essentially what remained after an enormous volcanic explosion that destroyed the earliest settlements on a formerly single island, and created the current geological caldera.The population of the island is about 16,000 inhabitants. The municipality of Santorini comprises the inhabited islands of Santorini and Therasia and the uninhabited islands of Nea Kameni (Volcano), Palaia Kameni, Aspronisi, and Christiana. The caldera side(west coast) of the terrain is rocky, with unusual rock formations. Other areas have a gentler terrain. The climate is moist. The summer is warm with cool evenings, especially in August when the famous ‘Meltemia’ winds are present. The architecture is typical Cycladic (white houses with blue windows and doors). However, in Santorini you may also see the Cave Houses dug into the volcanic rock. 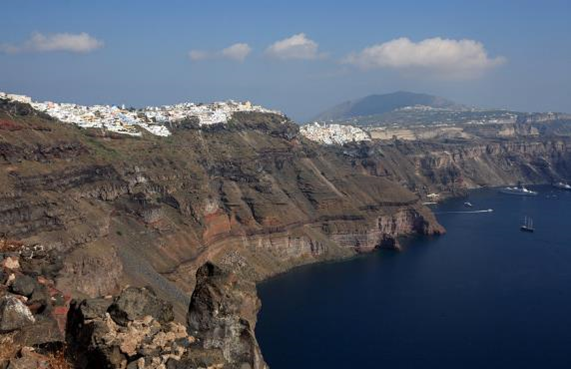 The Capital of the island is Fira, which is built on the Caldera cliffs on the west coast. Santorini remains the home of a small, but flourishing, wine industry, based on the indigenous grape varieties, “Assyrtiko”, “Athiri” and “Aidani.” The viticulture pride of the island is the sweet and vigorous Vinsanto, a dessert wine made from the best sun-dried Assyrtiko, Athiri, and Aidani grapes. You may also taste white wines that are extremely dry with a strong, citrus scent and mineral and iodide salt aromas contributed by the ashy volcanic soil. 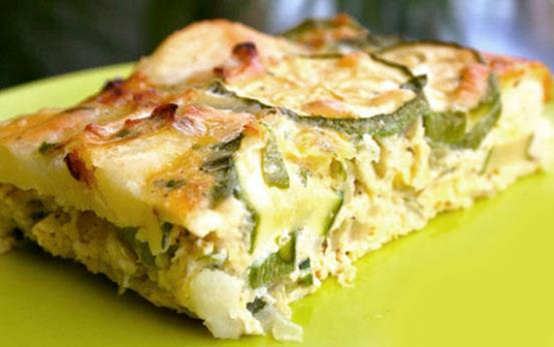 Other local specialties are melitinia (a dessert with cheese-they prepare it during the Easter period), Brantada (cod fish with potatoes), koskosela (scrambled eggs with vegetables and cheese), sfouggato (traditional pie with courgettes) and tomato croquettes. Recommended: Spacious and clean rooms with private balcony and amazing view at the Aegean Sea, Thirasia Island and the volcano. Daily direct flights from the Athens International Airport ‘Eleftherios Venizelos’ to Santorini –the flight duration is 40’. There are two airline companies that fly to Santorini directly from Athens: Aegean Airlines (which is the same company with Olympic Airlines) and Ryanair. Charter flights to the Greek island from many €pean cities such as Rome, Budapest and Vienna. These charter flights start in April and end in October. 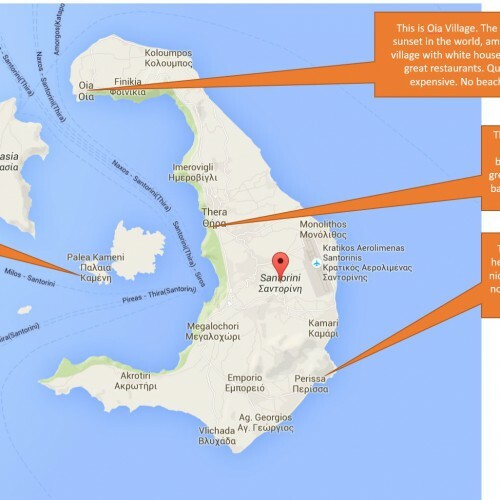 The distance of the airport of Santorini to the main city of the island, Fira, is about 5km. From Piraeus Port (Attica’s biggest port) or Rafina Port, which is 30kms outside of Athens. To go to Piraeus you can use the electric train which crosses the city of Athens and you should stop at the final destination. If you arrive at the Athens airport, take the X96 Bus. It departs every 20’ from the airport bus station and it takes about 70’ to reach the port. 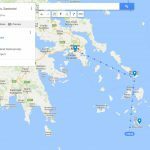 If you take a taxi from the airport to the port it should cost you about 35€, otherwise, if you get the taxi from any other part of Athens it should cost you about 15-20€. To go to Rafina, you can use the bus from Mavromateon Street – Pedio Areos (it is 10minutes walk from the central train station Victoria). The bus departs every 15’-45’ starting from 05.45am and until 22.30pm. It takes 1h to take you to the Piraeus Port and the ticket costs 2,40€. 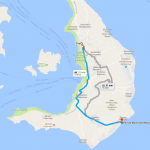 Taxi from Athens to Rafina’s Port: You can also get a Taxi from the Athens center to Rafina’s port. It takes almost 1h (depends on the traffic) and it costs about 35 to 50€. 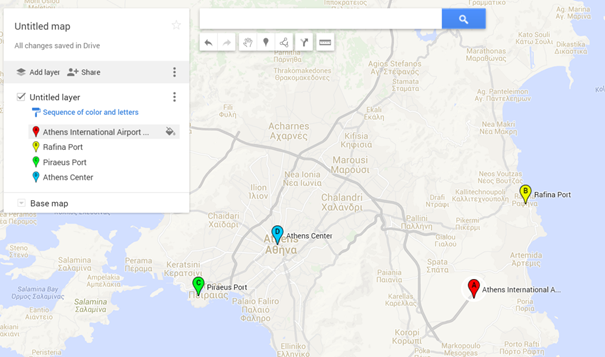 Here is a map that shows where is Rafina Port, the Athens International Airport, which is also called “Eleftherios Venizelos Airport”, Piraeus Port and the center of Athens. 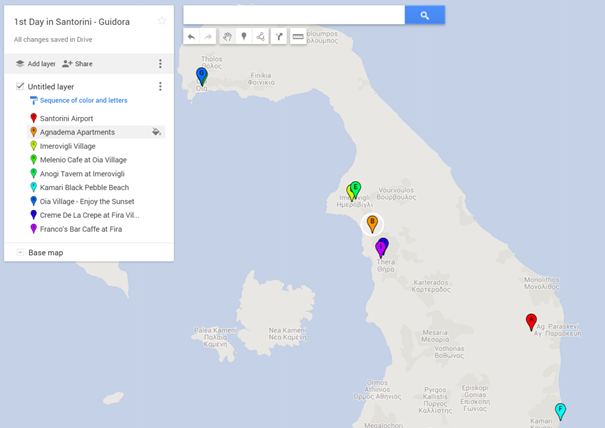 Get This Map Online: Click Here or Click on the Map. Banks: Open from Monday to Friday 08.00-14.00pm. Located around the main square of Fira and on the road from Fira to the port. ATMs are everywhere. Credit Cards: Internationally recognized credit cards are accepted at restaurants and shops. 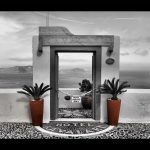 The airport of Santorini is a very small airport which is located north of the village of Kamari and it is about 6 km southeast of downtown Thira. Thira or Fira, is the name of the capital city (actually it is a village) of Santorini island. 08:00 am: Take the luggage and pass through the passport control. Tip: It does not take more than 3 minutes to get your luggage and exit the passport control. Santorini’s airport is a very small airport. 08:05 am: Take a taxi from the airport to the city center, to reach the recommended hotel (12 min distance). Our hotel is at Firostefani village- which is a 3’ distance from Fira. Firostefani is only 1km from Fira and it is a great village where you can find several walking paths that lead to the Caldera, in order to enjoy the unique view that Santorini island has to offer. 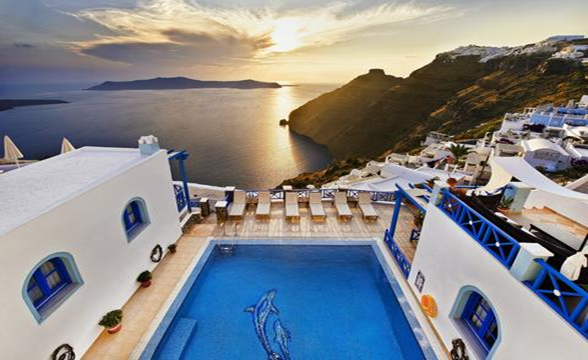 Why do we recommend that you stay in Firostefani village and not in Fira or Oia village? Because Firostefani is in the highest part of the island, offering a better view to the caldera, it is quieter than the hyper-busy Fira village – while it is conveniently located close to it. 08:20 am: Accommodate yourself in the hotel and then start discovering Firostefani village and the nearby villages including Imerovigli and Oia village. 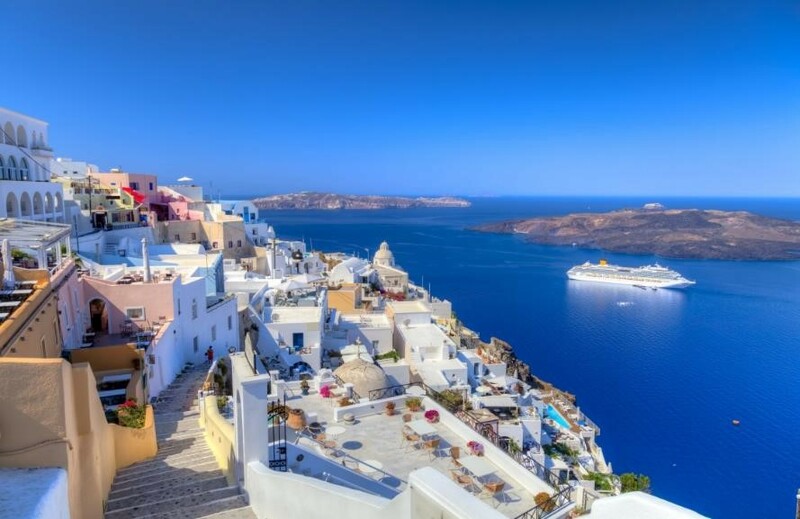 Start your day visiting the famous Santorini’s villages with the marvelous Cycladic architecture and the excellent view to the Aegean sea and the volcano. Enjoy your walk at Firostefani. Then, take a taxi or rent a bike or a car and walk to Imerovigli village (1,5km from Firostefani) and then drive to the Oia village (10km from Firostefani). On the side of the Caldera, the view of the volcanic rocks and the volcano is astonishing, while on the opposite side you will admire the Aegean Sea. From this point on you will drive near the impressive Black and Red mountains. At the entrance of Oia village, you will find a sign showing a right turn to Finikia and Baxedes. Driving straight ahead you will enter Oia. Oia is a very famous place for its sunset. Many couples are visiting Oia village during the sunset time, in order to pass some romantic time, watching the sun go down. Passing through the village you will find access points to the main pedestrian street offering an amazing view to the Caldera and the neighborhoods of Oia. There are several parking lots which also serve as the bus stations. Enjoy your coffee with some local handmade sweets at the balcony of the café. Amazing View! Don’t forget to taste some “galaktoboureko” (a sweet with white cream inside), chocolate pie or “baklavas” (the Greek version). This tavern-restaurant is located in the Main Street between Fira and Oia village. 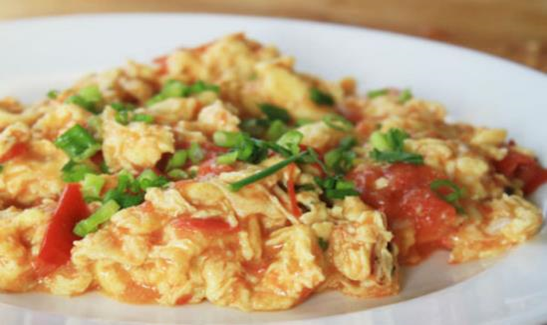 This tavern offers a tasteful local cuisine with a modern sensation. 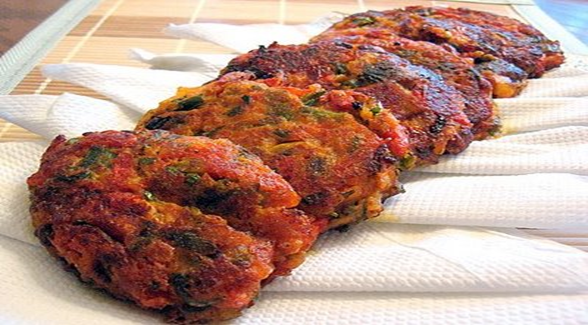 Tip: Order the tomato balls (“tomato keftedes” in Greek) and the split peas of Santorini (called “fava” in Greek). Expected Cost: Around 20€ per person, with a glass of wine. 14.30 pm. Go to Kamari beach and relax under the sun. The beach has black sand and clean waters. You can enjoy your drink there, in any one of the plenty beach bars that you will find nearby. Kamari, a 5km beach with black stones, is one of the most popular beaches of the island. At the south side of the beach, you may see the ‘Mesa Vouno’ (the inside Mountain) of the ancient Santorini. You may also see many airplanes that are passing very close to the beach, as the airport is very close to Kamari village. 17:30 pm: Return to the hotel and get some rest. 19.00 pm: Enjoy the Sunset in Oia village. In case you are a couple or a sunset hunter, do not miss this magic moment and unique sunset view. You need to protect your eyes, if you are going to watch the sunset, so you could use your sunglasses and a glass of something good to drink while watching the sun shyly dip its underbelly into the sea! Don’t look directly into the sun. Tip: Be ready to secure a good spot well ahead of the sunset – at least an hour ahead. Hordes of tourists go to bask in the warm sunshine. You have to find the perfect spot, fend off a hundred fellow sunset gazers and then try very hard to crop them out of your photos. 20:45 pm: Go to Fira Village and enjoy a crepe at ‘Creme de la Crepe’- either with cheese, mushrooms, and ham or sweet with white chocolate and strawberries. 21.30 pm: Discover Fira Village. Tip: if you are visiting Santorini during the high season (June-August) you should know that the central square at Fira is closed for vehicles and you will have to take a detour if you are driving a car. Drink the famous ‘Maria Kallas’, a cocktail prepared with champagne. Tip: It is a bit expensive bar (a cocktail costs 13-15€) but the view and the cocktails are really breathtaking. So, it is actually the amazing view that you are paying for and not so much the cocktails. 12.30am. Return to the hotel and get some rest. 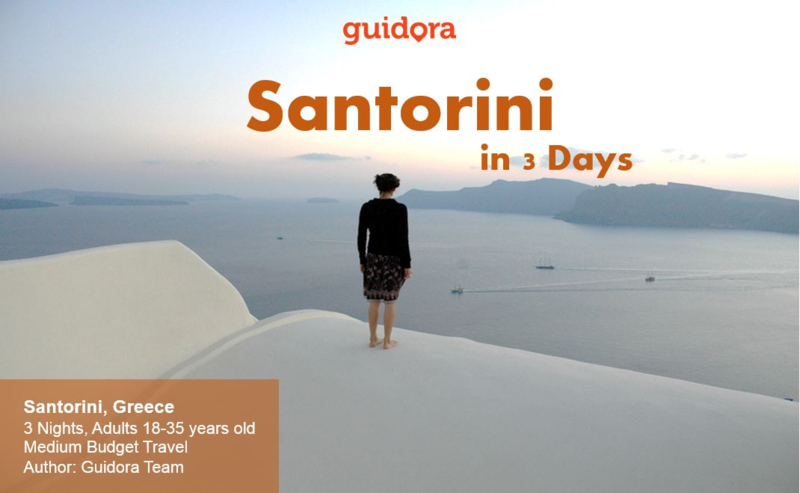 If you want to get the rest of the guide – a step-by-step schedule for the next two days in Santorini, click here. Which is Closer to Athens: Mykonos or Santorini? Athens to Santorini: Should You get a Ferry or a Plane?